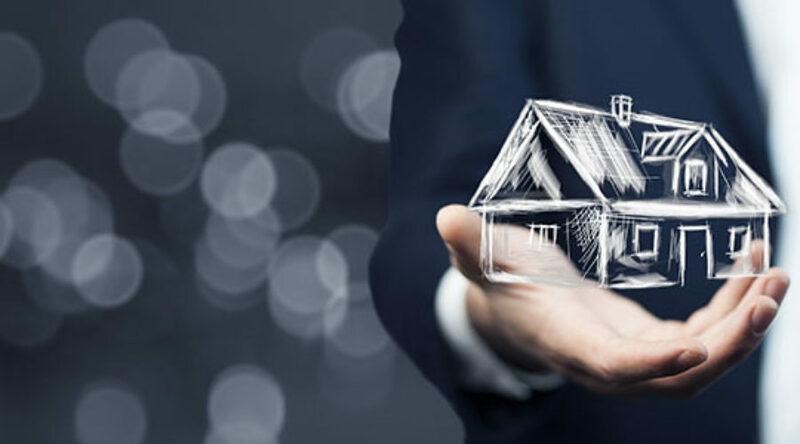 In this article, we are going to look at the benefits of homeownership and also some of the challenges that may come up when owning a home. Part of the process when preparing to purchase a new home is mentally preparing yourself for the pros and cons of homeownership. Let’s take a look at some of each and the benefits of the VA home loan. Stability: Most mortgage loans are 30-year fixed rate loans which is about as stable as you can get. During that time if you have a fixed rate your principal and interest payment will not change. Imagine, no landlord increasing your rent from year to year. Imagine your kids in the same school district and neighborhood during their childhood allowing them to make lifelong friends. Stability is without a doubt a big key to happiness. Homeownership can improve your credit rating: As a homeowner you will open the door to future credit opportunities. When you own a home it shows banks and creditors that you are serious about your credit. So as a homeowner this may open up future credit opportunities. Banks and credit card issuers can favor homeowners. Have you ever noticed “Do you rent or own a home?” on a different bank, credit card or loan application? Qualifying for a home loan is no easy task and making on-time payments shows future potential creditors that you are a good financial risk. Build Equity for your future: Now that you’re a homeowner your home will start building equity month after month. With every payment you make a portion goes towards your principal balance building more equity every month. The equity can be used as leverage to either borrower against it to do debt consolidation or home improvements amongst many other things. The VA loan is also the only loan to give you 100% access to your equity. Of course, even if you never leverage your equity you will hopefully see a solid return on your investment at the time of sale. Change it Up and make it yours: Does your son need a baseball-themed bedroom? Does mom need an office? Does dad need a man cave? As a homeowner, you have the freedom to change whatever you want. In fact, The VA now has a Renovation loan available. Tax advantages through homeownership: It is possible that once you are a homeowner that you can receive possible tax advantages. You may earn a tax deduction for property taxes, private mortgage insurance costs as well as other expense associated with home ownership. As always please contact a professional for further information. . While there are always challenges the VA Loan program does a fantastic job of qualifying Veterans for homes they can truly afford. They do such a good job that even though the VA loan program does not require a down payment in most situations, there is still an exceptionally low foreclosure rate. One thing I can guarantee that in this world unfortunately that there are no guarantees. Things happen, job loss, family dynamic changes along with a myriad of things that can affect the financial outlook. One thing remains; you have a mortgage payment that is a priority. New expenses and monthly budget: While you likely pay rent now there could be expenses that you are not custom to. From water and trash bills to homeowner’s association dues, you can likely expect a few new names in your mailbox. Your Home Your Repairs: It’s closing day, you’ve signed all the papers, gotten the keys, maybe even carried your spouse over the threshold. But like everything else the new wears off and repairs are inevitable. While you don’t have to argue with your landlord for the repairs you are responsible for the fix. Sink backs up, dryer stops drying, the furnace goes out, or water in the basement you are responsible. A good rule of thumb is to have about 1% of your home’s value in reserves to take care of repairs. Truth is, most repairs around your home are going to be general maintenance. However, that same general maintenance left undone can become a great expense to the homeowner. What if I need to relocate: Most veteran renters can wait for there lease to end and active duty military service members can usually negotiate terminating a lease without a penalty that being said it can prove to be a little more difficult as a Homeowner. While a lot of companies will offer relocation packages you are still responsible for your home. You will have a couple options from selling to keeping the home and making it an investment property. Not everyone wants to be a landlord but it can be a money-making opportunity. Default Happens: Like the old saying goes, _____happens, and sometimes there is nothing you can do to stop it. I left that blank because more than one-word fits. Downsizing happens, job loss happens, divorce happens, death happens, illness happens. No matter the reason, falling behind on your mortgage can have a great impact on your FICO profile. Late mortgage payments, loan modifications and eventually foreclosure can severely hurt you financially. No matter what happens dig deep to set a budget and stick to it. Contact a mortgage professional to do a complete financial review to give you some guidance. The goal of homeownership is attainable. Get your piece of the American Dream you fought to defend!